We are happy to announce that the new version of PHP Tools for Visual Studio - 1.19 - is available. Please visit the downloads page to download and for more information about the improvements we are introducing. Project properties were extended. In the future, there will be much more to enable and configure. For example, since version 1.19, it is possible to set the project Web Root; the relative path used as the web site root. Every project and server configuration is checked to ensure the user won't have to deal with common issues. Both in project properties or during project launch (F5), issues are checked and automatic repairs are offered to the user. Simply by clicking Continue, PHP is downloaded, php.ini directives fixed or common recommendations are applied. 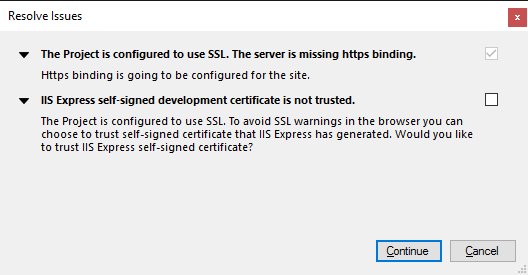 This update improves IIS Express support as well. Together with general improvements and fixes, it is now possible to enable SSL binding. In addition to new features, the web site configuration is checked for common problems and certificate issues. Furthermore, the selected PHP version is automatically downloaded and installed if applicable. A little used feature that makes programming easier; Code Definition Window allows users to view the definition of a symbol under the cursor continuously in a separate tool window. The default shortcut to open the window is Ctrl+\,D. Typically the user moves the window to a second monitor to keep track of the definitions. We are always trying to make programming fluent and well-arranged. While supporting bigger and bigger projects, hardware requirements should remain the same as before. 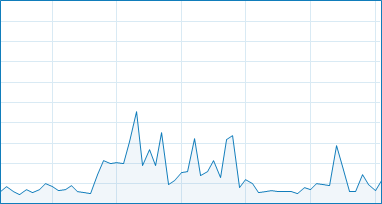 With version 1.19 we have introduced major optimizations - mainly lowering memory requirements. Up to 75% less system memory is used while providing the same coding experience. For more information see the change log or our features page.